Let’s talk travel insurance again! As we are deep into hurricane season, it seems like a timely topic. A couple of years ago, I wrote about insurance for your Disney cruise in a blog post, and I thought it may be time to revisit the subject. While we’re at it, let’s broaden it to consider other Disney trips. Do you need it? What does it cover? How much does it cost? Those are all good questions! So let’s talk about some things you should consider before buying. 1. Cost – Insurance is Not Cheap! Especially when you consider you are buying something you are actually hoping not to use. It’s not always ridiculously priced either. Insurance purchased directly from Disney (it’s not actually Disney Insurance LLC, but it is Disney-contracted insurance that you add on to your existing reservation) may be one of the more expensive options, but it may not, and it may be exactly what you want. 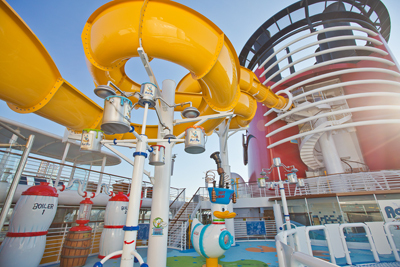 Insurance from Disney Cruise Line is 8% of the cost of your reservation. 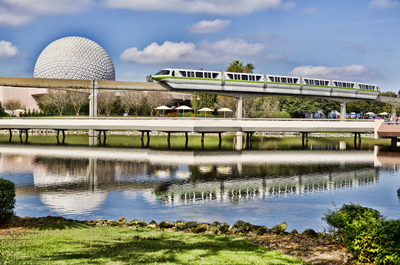 Walt Disney World insurance is $77.50 per adult, and $5.50 per child 17 and under. Disneyland insurance is $70.50 per adult, $5 per child 17 and under. 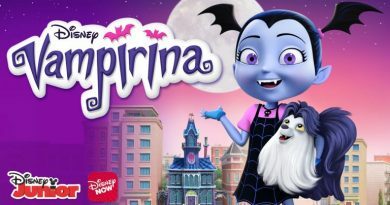 One huge benefit to Disney’s pricing is that it does not take older age into account. That means for senior citizens, it often prices out cheaper than other, third-party options. Insurance from third-party companies is easy to find online. 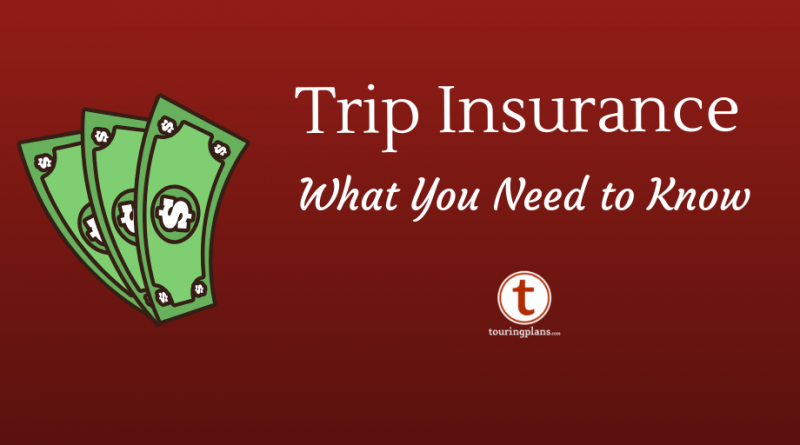 InsureMyTrip.com is a good place to check pricing and coverage for several options at once, and we will talk about some good things to look at later in this post. 2. Flight Insurance – Is recouping the cost of your flights, or being able to change your flights, the most important thing to you? One option may be insurance added directly onto your flight reservation through the airline. It’s usually very reasonably priced, and if you have to change or cancel for a covered reason, it’s easy to do. Read the coverage, see if your potential reason is covered, and decide if you want it. Pro-tip – some airlines (like Southwest) allow you to change flights with no penalty fee. You’ll only pay the price difference if there is one. No insurance necessary for that! Insurance purchased through WDW and Disneyland covers air travel whether you purchased your flights through them or not. Insurance purchased through DCL does not cover flights unless you purchased your flights through DCL. Keep that in mind too! 3. Cancel for Any Reason – If you are thinking you may change your mind, or you’re worried you will want to cancel for a reason that wouldn’t be covered (i.e. your third cousin gets chicken pox and you want to be there to bring them chicken soup), you’ll want Cancel for Any Reason coverage. DCL’s insurance is more or less, cancel for any reason. If you cancel for any reason that is not covered, you will get a credit back for 75% of the loss to use on a future cruise within a certain time period. Insurance purchased through WDW and Disneyland is not Cancel for Any Reason, but their cancellation policies are so liberal that you may not need it. You can usually move a trip to a different date until the day before you leave without penalty. If you couldn’t move it, and needed to cancel, as long as you do it at least one day before, you would only lose the deposit of $200. That’s pretty good! Several insurance companies offer Cancel for Any Reason policies, but they are fairly expensive. I’d again recommend using InsureMyTrip.com to search for one that meets your needs. 4. Trip Interruption/Cancellation – Trip cancellation and interruption is exactly what it sounds like. This is the coverage you need if your trip is cancelled, or interrupted, for some reason, like arriving late or leaving early. Now this is not interrupt or cancel for any reason–this only applies to a COVERED reason. Policies differ, but a covered reason is usually things like illness, injury, death, etc. When you are looking at policies, pay very close attention to the covered reasons. Are you military and worried about getting military orders or having leave revoked (a conversation my husband and I regularly have)? Make sure it’s a covered reason. Are you traveling during hurricane season and worried about a hurricane? Make sure it’s a covered reason. The more covered reasons that are included, the better (and likely, the more expensive) it will be! 5. 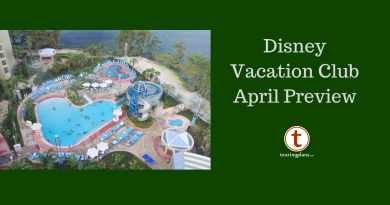 Medical/Evacuation – Medical and evacuation coverage are never a bad thing to have, but may not be as essential at WDW and Disneyland as they are on a cruise. Many large health insurance companies do not cover you when you are traveling outside the United States. Check with yours. If it does not and you are going on a cruise, you will want this coverage. Accidents and medical emergencies happen to perfectly healthy travelers. Broken arms, a burst appendix, illness, and more can happen at any time. Any one of those things can cost you anywhere from a few hundred dollars to tens of thousands if you have to be evacuated, or cannot reboard, the ship. My healthy mother came down with pneumonia halfway through our Mediterranean cruise and racked up $5,000 in medical bills that her standard health insurance did not cover. I don’t cruise without this coverage, and I don’t recommend anyone does. 6. Baggage – Baggage coverage will be for permanently lost, damaged, or delayed luggage. While the airlines will often cover the same things, it’s not a bad idea to have your travel insurance as a backup. This is not coverage I would ever buy a separate policy for, but it’s good to have it included when buying travel insurance with other important features. Like the airlines, there are still strict rules about what is covered, i.e. don’t put expensive jewelry, camera equipment, or laptops in checked luggage and then expect reimbursement by the insurance company if they disappear. 7. Pre-Existing Conditions – If you are concerned about a pre-existing condition messing up your trip, check policies carefully. Many (like Disney Cruise Line’s policy) do not cover pre-existing conditions at all. Others only do if you purchase it at the same time, or within a very short window of time after, you pay the initial deposit on your trip. One thing to be aware of here is that a pre-existing condition is not necessarily defined as strictly as you think. Cancer treatment from five years ago, for example, may not be a pre-existing condition. It’s usually defined as something you (or a family member whose condition may affect your travel) have received treatment for, or a diagnosis of, within 60-90 days of the purchase date of the policy. If you have anything you are concerned about, call the insurance company and ask before purchasing. 8. Company Options – As I mentioned above, Insuremytrip.com is a good place to compare policies, but here are a few of the companies I have used and/or recommend. Adding insurance on to your Disneyland trip, WDW trip, or Disney cruise right through Disney is the best choice in some cases. Don’t rule them out before checking. Also, the insurance company you already use and trust may also have the perfect travel insurance for you. Geico and Nationwide, for example, sell travel insurance. If you are a USAA member, check their travel insurance out. We have had great luck with them. I’ve also personally used Allianz and Travel Guard and would recommend both. My advice here would be to stick to a company name you either recognize and/or has very good reviews. You want someone you trust here. This is not the time to find a Groupon for Joe’s Travel Insurance Unlimited. Pro Tip – some of these companies also sell annual policies, which can save you a lot of money on insurance if you travel frequently! 9. Credit Card – Before you purchase travel insurance, check the terms of the credit card you are using to pay for your trip. Some major credit card companies include travel insurance with your purchase. They aren’t as comprehensive as some other options, but they may be enough for your needs–at no additional cost! 10. Timing – So when should you buy insurance? There’s a few things to consider here. For the most part, insurance is non-refundable after it’s purchased, so make sure you really think you are going on the trip when you purchase it. FYI, there is usually a short change-your-mind window immediately after purchase, and you can remove insurance off of your Disney cruise until final payment if you book through DCL. You could technically wait to purchase until the day before you travel with some companies. But you are taking some risk, and probably losing some coverage, if you do decide to wait that long. Once a natural disaster begins, for example, it’s too late to buy insurance that will cover it. For something like a hurricane, once it becomes a named storm, it’s too late to buy coverage for it. If you’re concerned about a pre-existing condition, buy it right away. For Disney cruise, WDW, or Disneyland insurance purchased directly, you cannot add it after you have made the final payment, so you do have a deadline for those! Do you have any insurance tips for us? Were you glad you bought it? Didn’t buy it and wished you had? Let us know in the comments! Tammy Whiting is the owner of Storybook Destinations. 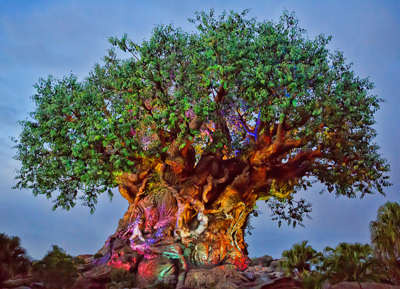 Did you know Storybook Destinations offers a complimentary subscription to TouringPlans with qualified Disney and Universal bookings? Click here for a no-obiligation quote on your next vacation. 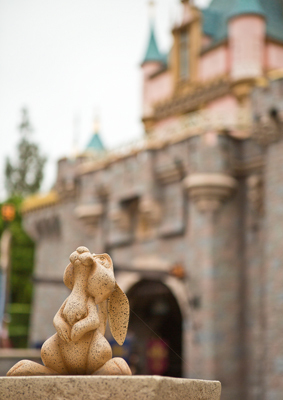 Tammy has been a lover of all things Disney for most of her life. There’s nowhere on this Earth she’d rather be than on a Disney cruise with her family. She’s an Air Force wife and proud mom of two wonderful children and one beautiful daughter-in-law . She fulfilled a lifelong dream in 2008 and became a travel agent specializing in Disney vacations. She now owns her own travel agency - Storybook Destinations. You can reach Tammy at Tammy@StorybookDestinations.com. Thanks for this article as it’s very timely for my upcoming trip. I’m curious about land and sea insurance options. We currently have insurance through Disney for our cruise, but are now debating about insurance for our WDW portion. As we’re going to WDW before and after the cruise, we have two separate reservations and thus if we went with Disney we would end up with 3 insurance plans. Is this the best option, or would a plan that covers the entire trip be best? Any thoughts would be greatly appreciated. Thanks. I’d definitely look at one to cover all three! Probably through a third party like Travel Guard!